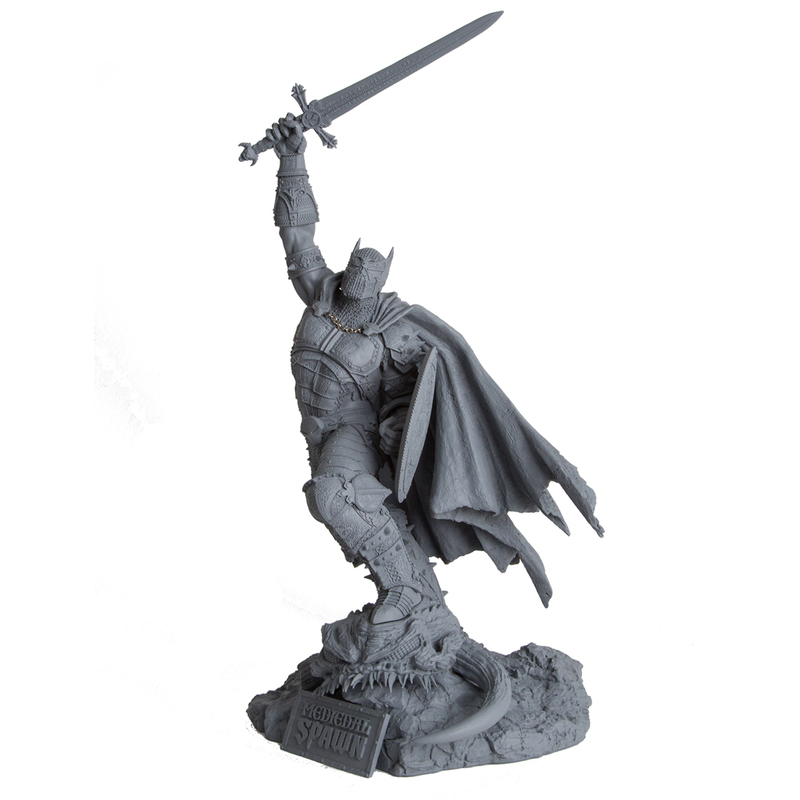 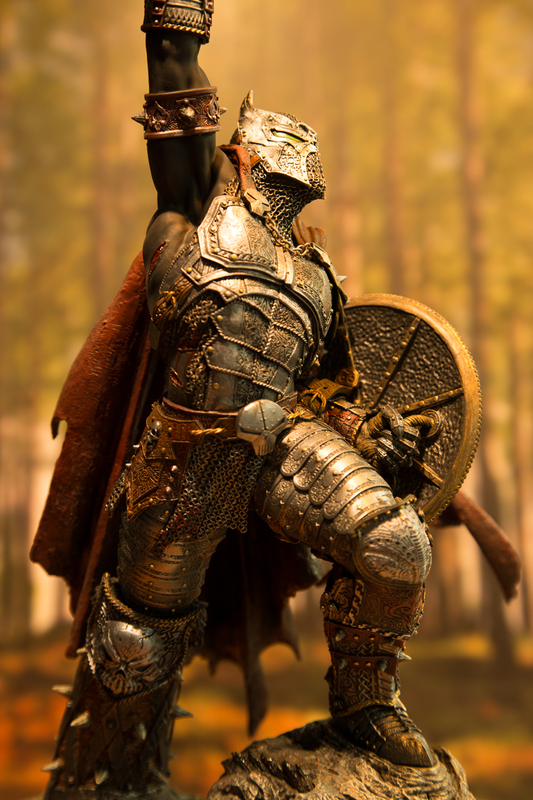 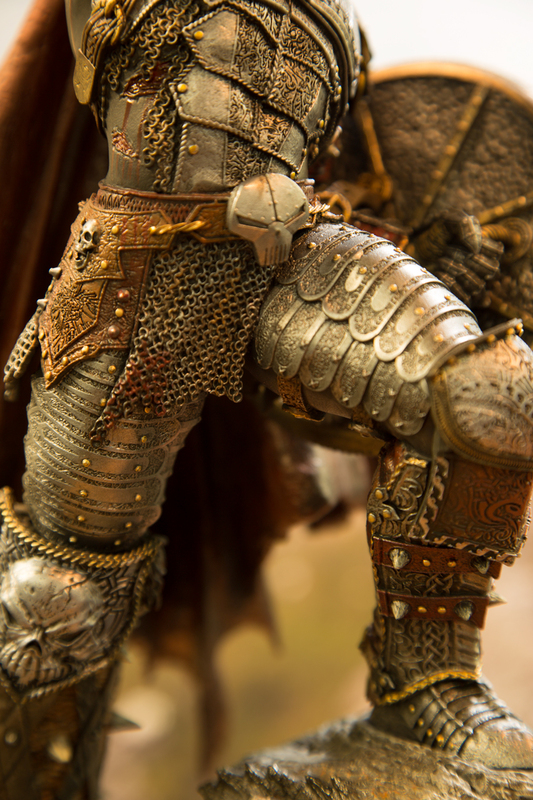 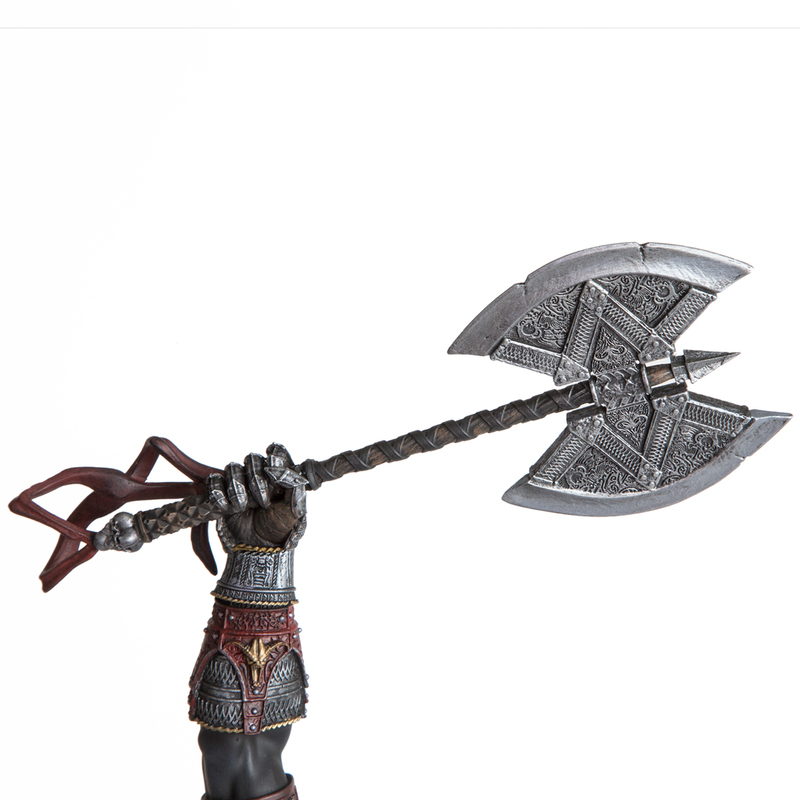 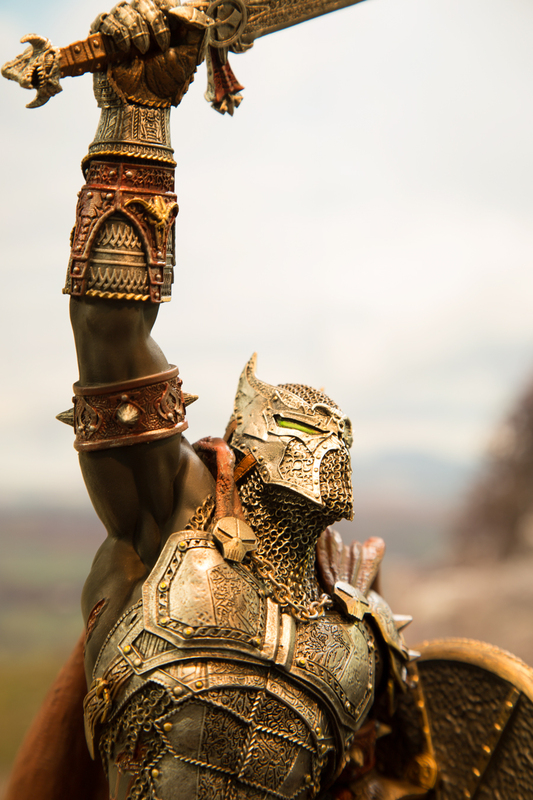 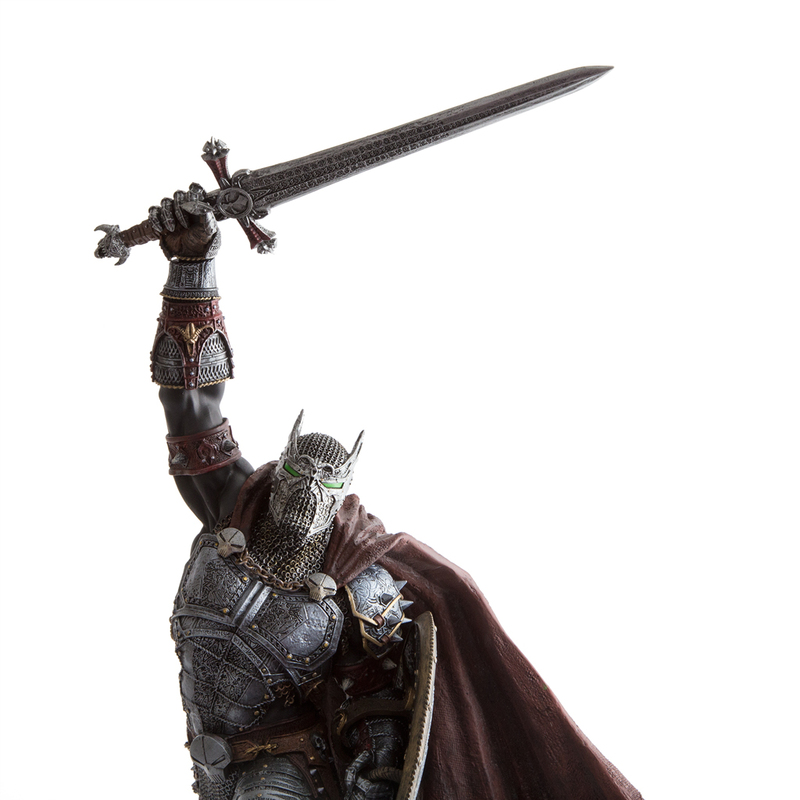 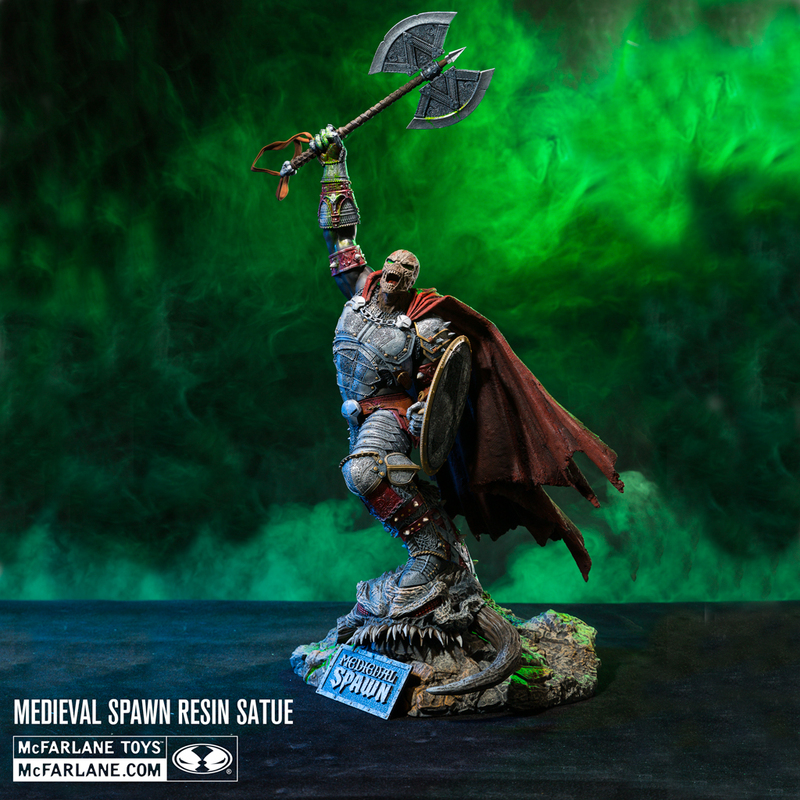 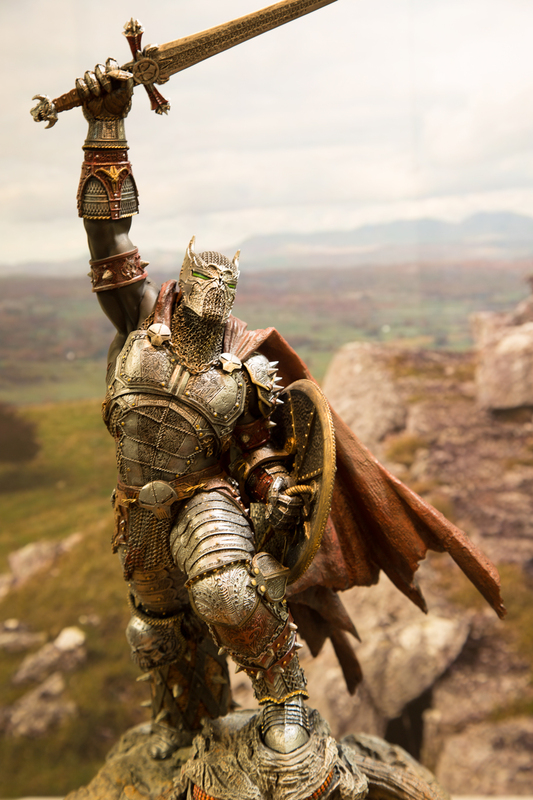 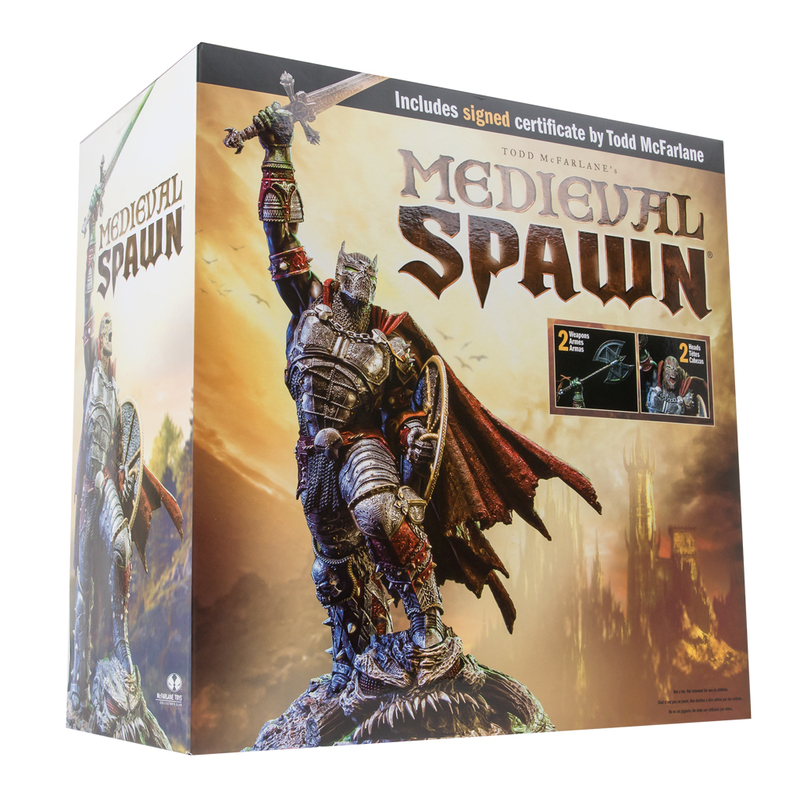 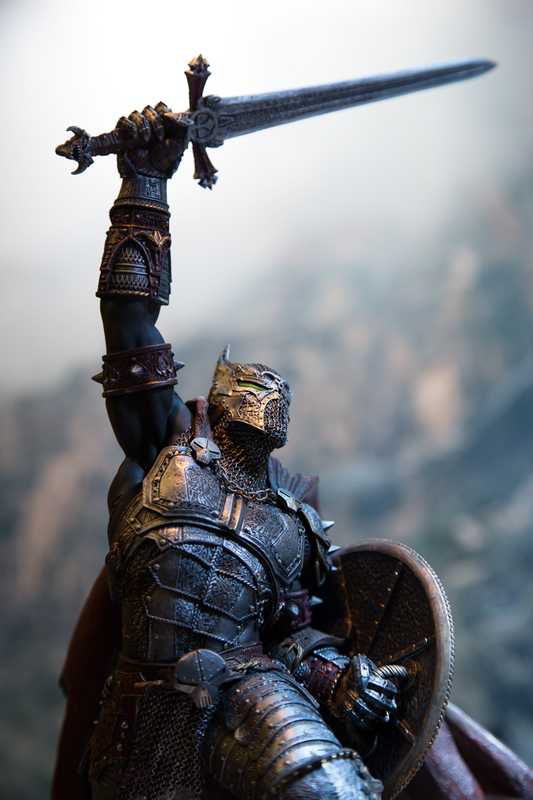 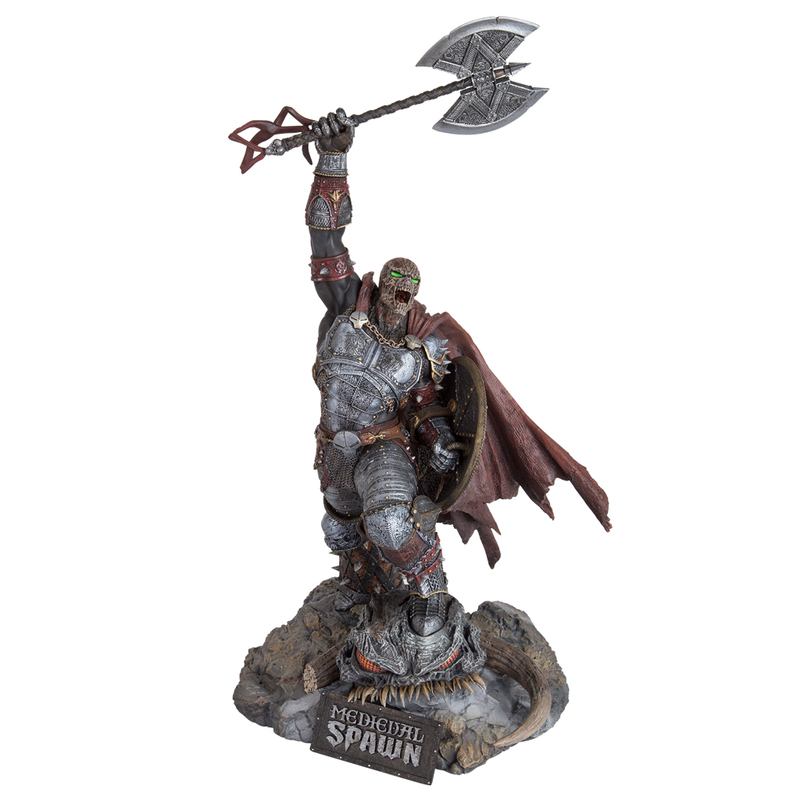 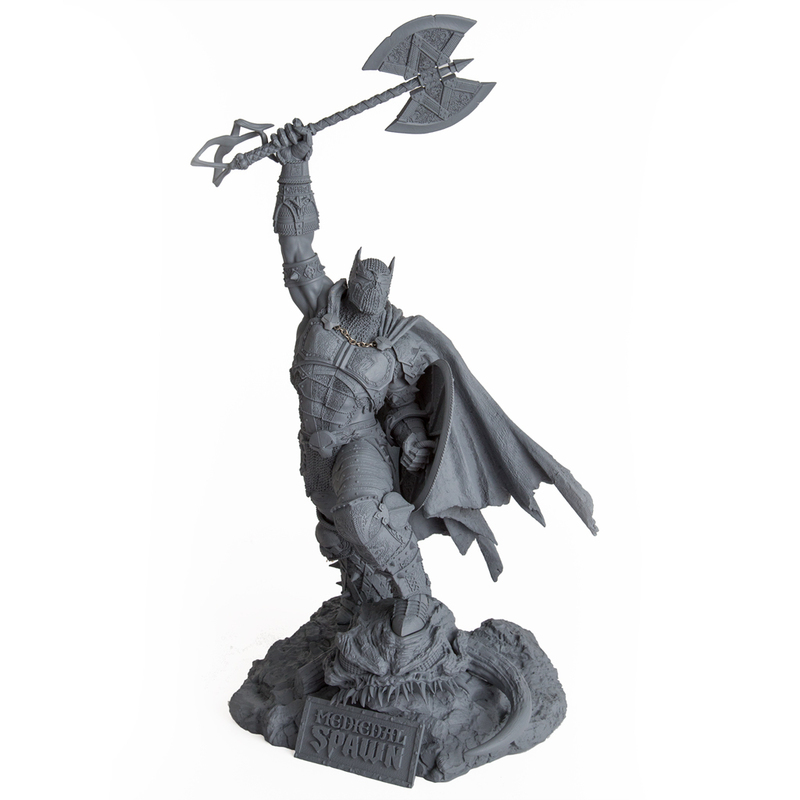 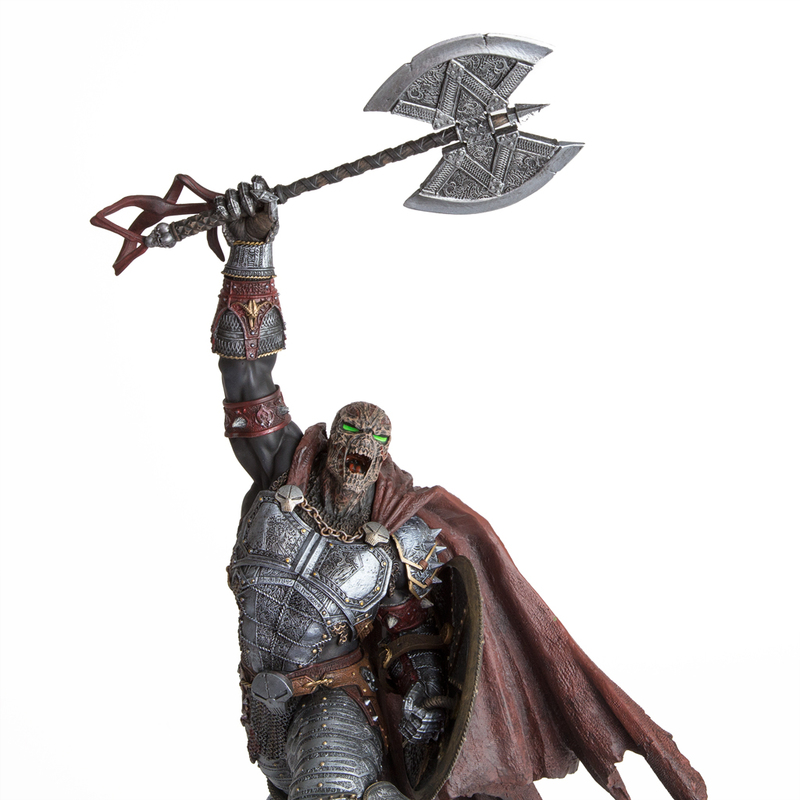 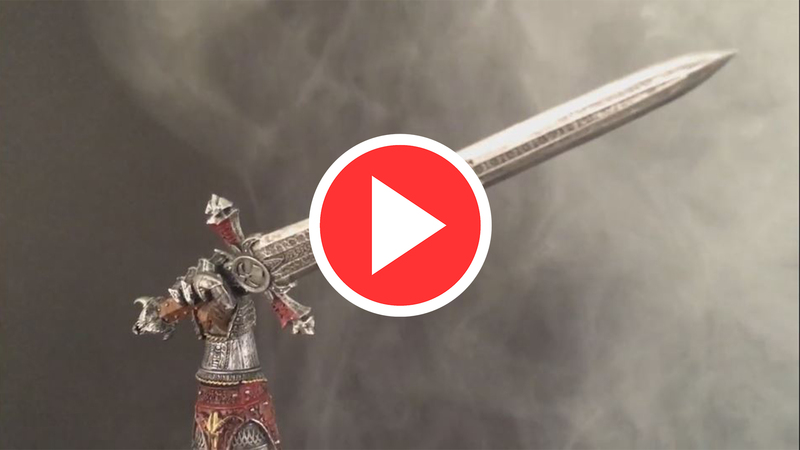 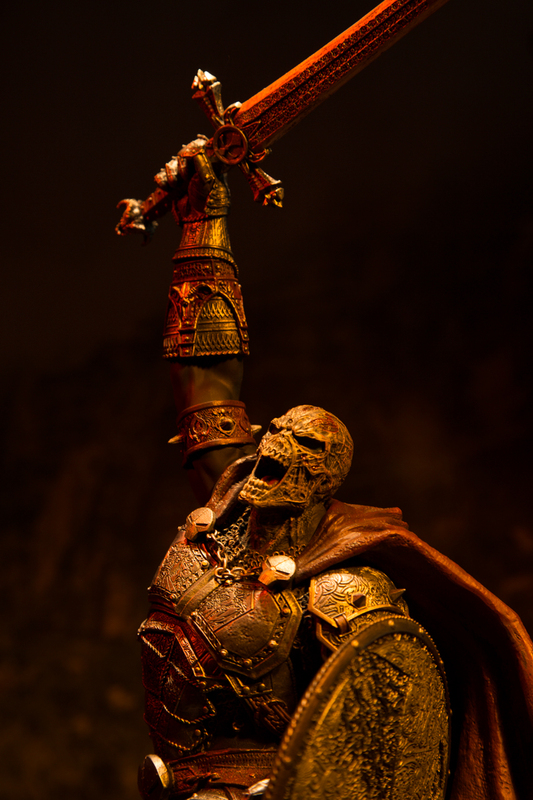 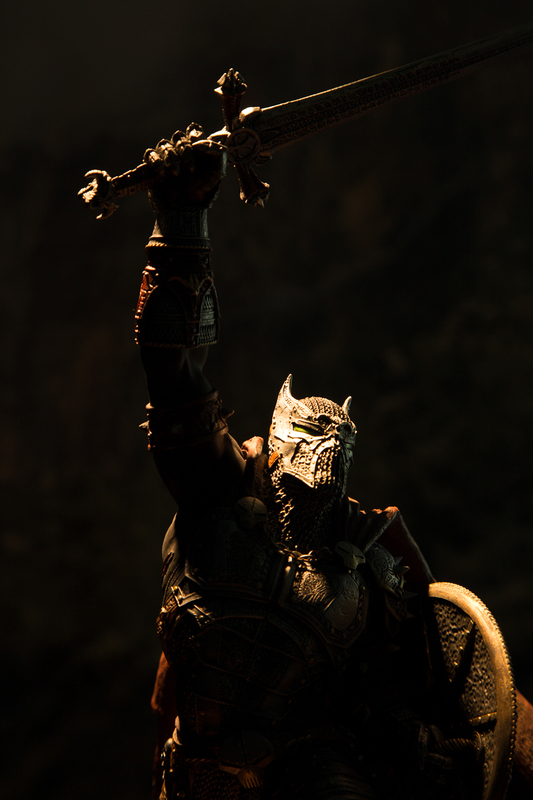 This highly detailed statue stands over 17 inches tall, showcasing Medieval Spawn in full glory and power after his victory over The Violator. Designed by Todd McFarlane and his award winning McFarlane Toys design group, the most heeded Hellspawn for the past 20 years steps out of the Spawn comic book in this spectacular resin statue. 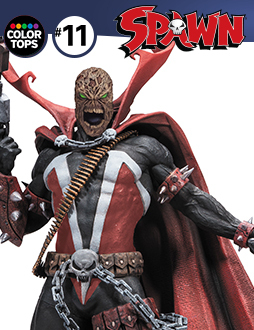 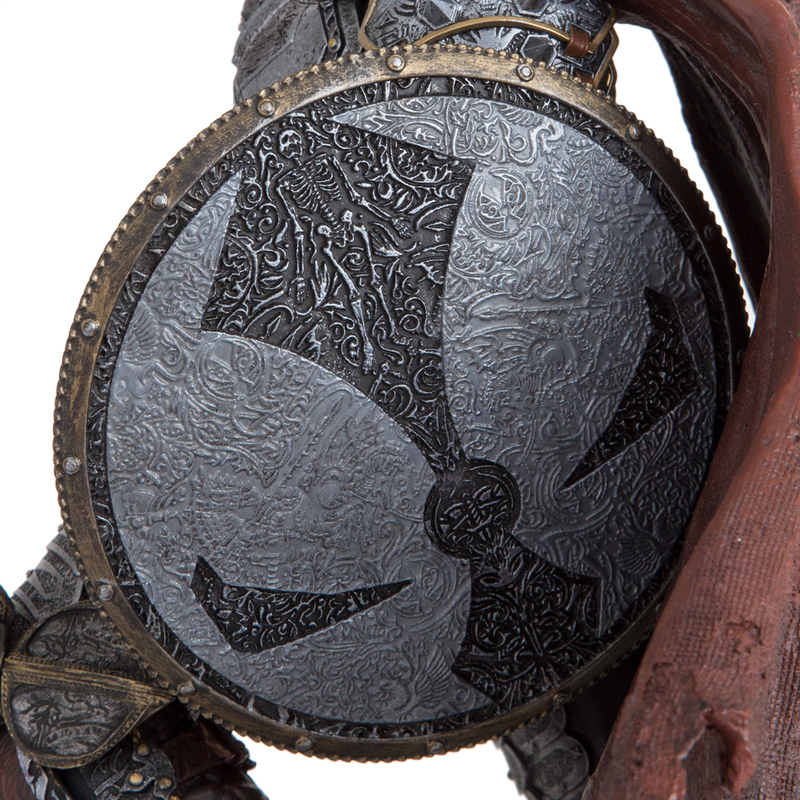 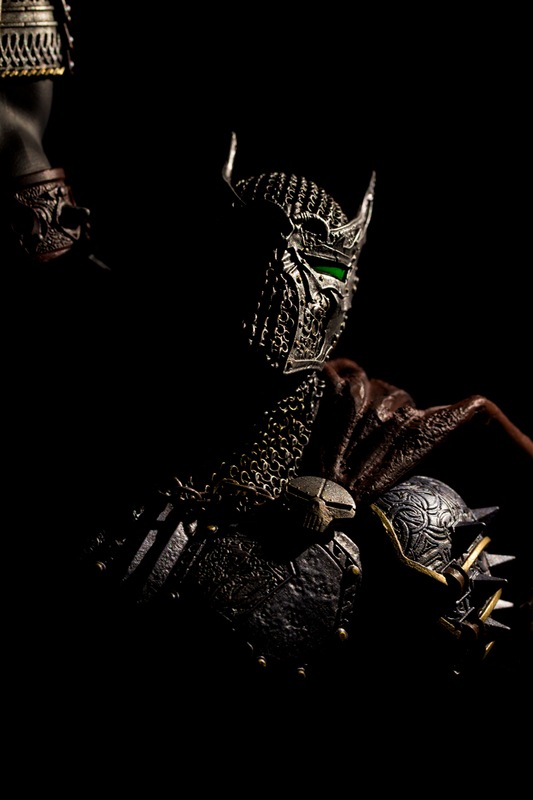 Each carved illustration on his armor references not only past issues of the Spawn comic book but gives a historical nod to the inaugural Spawn toy line from McFarlane Toys in 1994. 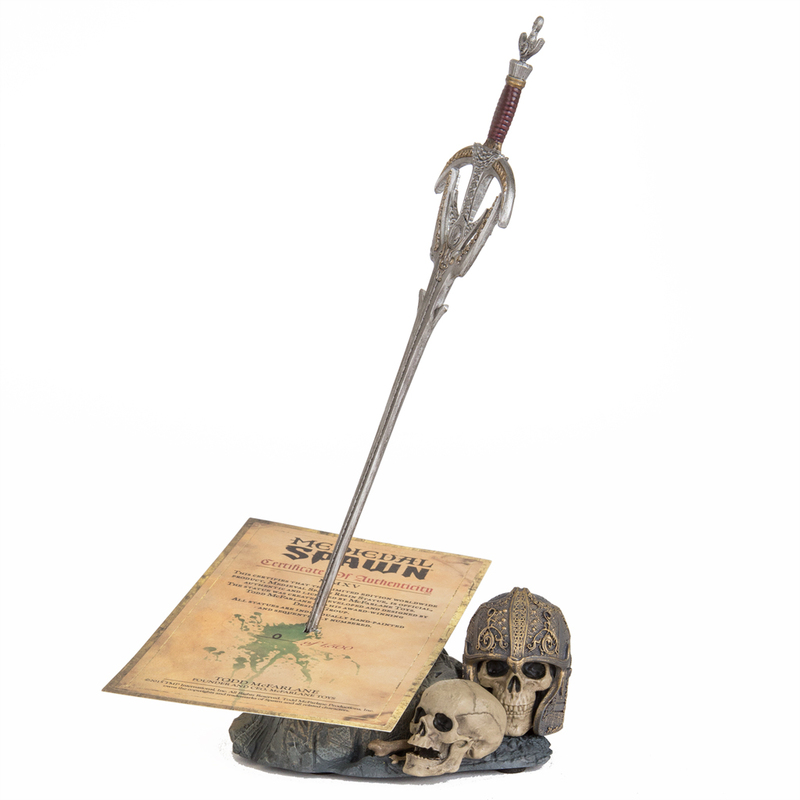 As an added bonus, each statue includes a sculpted Certificate of Authenticity (COA) display that is individually and sequentially numbered (under the base of the Resin). 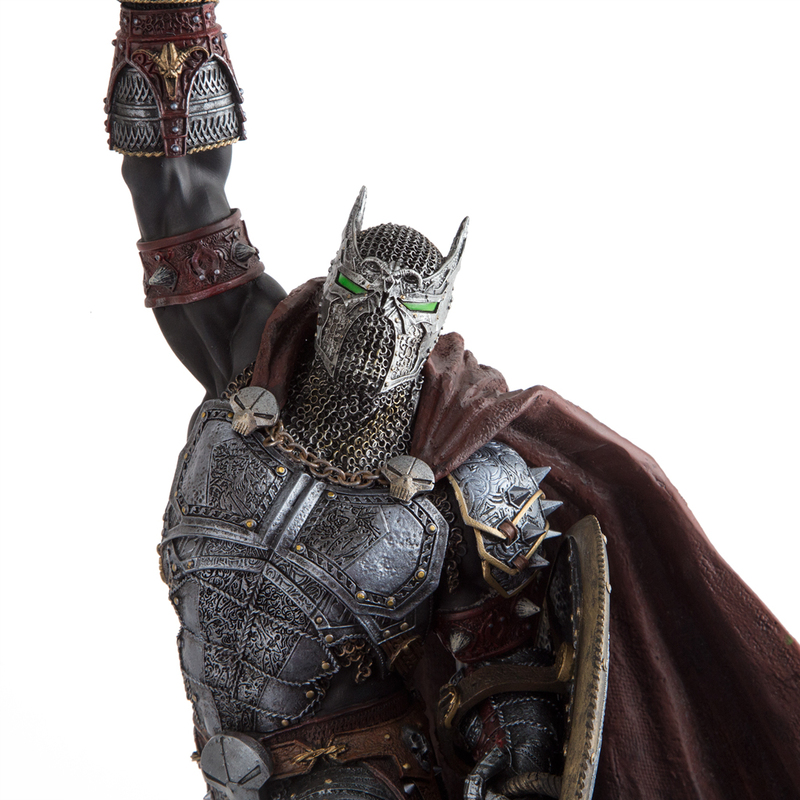 Fans will also receive a COA numbered and hand-signed by Todd McFarlane . 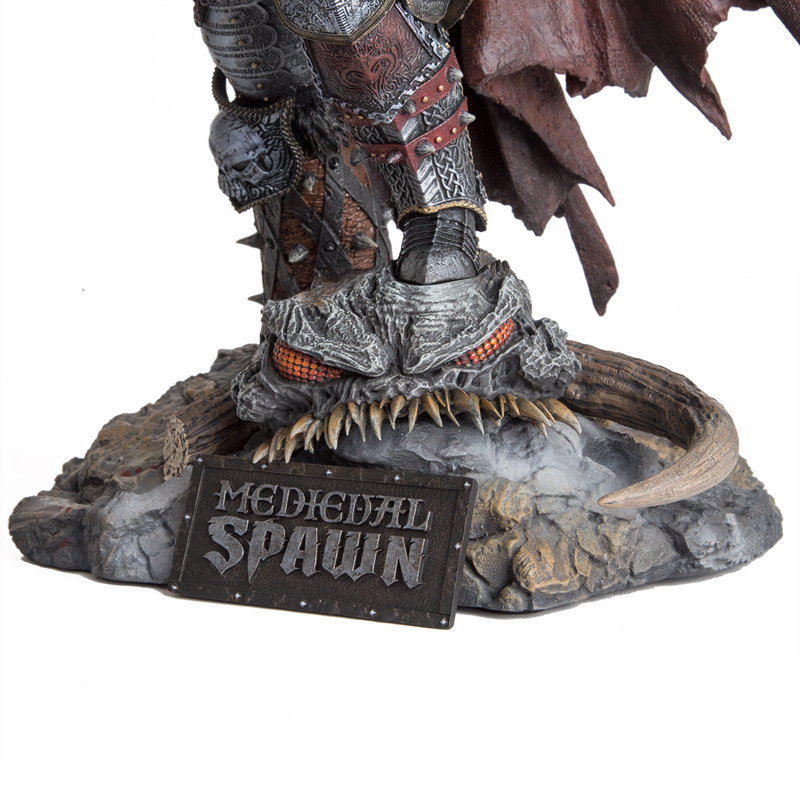 This statue is highly limited, with only 1,500 painted statues and 50 artist proof statues being produced worldwide.